Bringing the world a diamond that features the highest degree of optical symmetry, master diamond cutter Brian Gavin has once again delivered a truly distinctive diamond design—one that features the exacting balance required to produce a perfect hearts and arrows pattern. A masterpiece of artisanship and skill, this timeless diamond readily reveals its creator's discerning eye and practiced hand. Brian Gavin is proud to introduce his creative interpretation of the cushion-cut diamond, complete with hearts and arrows motif, to the world. Also called a pillow cut, this attractive diamond shape, which is closely related to the Old Mine Cut that originated in the late 19th and early 20th centuries, is well-suited for use in an engagement ring, pendant, earrings or other ring style. Once a widely appreciated gemstone cut, the cushion cut is currently enjoying a resurgence in popularity, and Brian Gavin has made his stunning version of this classic style available to you. 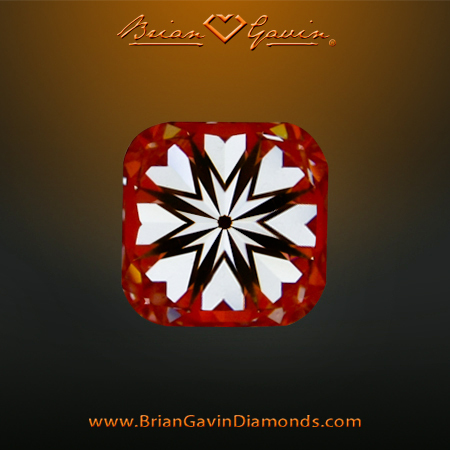 More brilliant than many round stones—which have long been considered the industry standard for brilliance—the Brian Gavin Signature Cushion Cut Diamond with Hearts and Arrows has been carefully cut and precisely formulated to achieve maximum brilliance (brightness) and fire (flashes of color). Its 57 finely crafted facets plus culet yield a total of 58 perfectly cut surfaces to reflect and refract light, reproducing the stunning effect of the round brilliant in a cushion cut. With its perfect hearts and arrows patterning, assuring the maximum sparkle factor and far outshining stones of other shapes, this expertly cut Brian Gavin diamond is sure to take its place among the classics. Brian Gavin has skillfully cut and crafted this stylish diamond, meticulously sculpting the square-shaped stone to feature gently rounded corners and sides that soften the stone's appearance, creating a uniquely appealing romantic look. Presenting a uniformly thin girdle—the outer edge where the stone's top (crown) and bottom (pavilion) portions meet—this diamond offers greater beauty and durability than less-carefully crafted cushion-cut stones, many of which often have either extremely thin or extremely thick girdles—either of which makes them more prone to chipping at this crucial junction. A too-thick girdle can also create the visual impression of a chalk line around the edge of the diamond—a look that makes the stone less attractive. The girdle of every Brian Gavin diamond—along with every other part of the stone's anatomy—is designed to provide the optimal combination of beauty and structural integrity that signifies a quality piece. This is the sort of meticulous attention to detail that makes a Brian Gavin diamond such a worthwhile investment. The Brian Gavin Signature Cushion Cut Diamond with Hearts and Arrows is carefully crafted to feature Ideal proportions, making even lower color-grade stones, such as J or K, appear much whiter to the eye. Through his technical skill and creative artistry, Brian Gavin draws out each stone's natural beauty, making it perform to its full potential. This precision gem-cutting process, while time-consuming, makes it possible for you to enjoy a whiter-looking stone at a more affordable price. Fifth-generation diamond cutter Brian Gavin, who learned the trade not far from the diamond mines of South Africa where he grew up, has made his mark by developing a variety of signature diamond designs over the years. But it was his groundbreaking 1998 precedent-setting improvement on the original hearts and arrows diamond design created by Japanese gem cutters in the 1980s that earned Gavin worldwide renown. Gavin's original version of the hearts and arrows design was known as A Cut Above®. 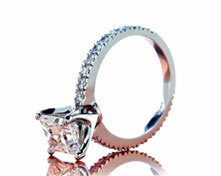 In 2009, he established a new standard in hearts and arrows diamond craftsmanship. His current Cut beyond Brilliant® Signature Hearts and Arrows round brilliant line remains in great demand among discerning diamond buyers around the world. What inspired Brian Gavin to design a Cushion Cut Diamond, which is so unique that it warranted a patent? What inspired Brian Gavin to design a Cushion Cut Diamond which is so unique that it warranted a patent? After all, there are already quite a few seemingly "comparable" square and cushion cut diamonds available, which also exhibit patterns of hearts and arrows. The fact is that most of them are cut with big, thick, girdle edges which act like open windows to the heart of the stone. Brian accepted the challenge to create a diamond which is more beautiful, and set off on a journey which took a couple of years longer than he anticipated. The initial goal was to design a square brilliant, or cushion cut diamond, which has a girdle edge that is thinner, and more consistent, than some of the other diamonds that are currently available. As with all of the Brian Gavin Signature Diamonds, it was imperative that this diamond be produced to a cut quality that would consistently warrant an overall cut grade of AGS Ideal 0, on the Platinum Light Performance grading standard. Brian also thought that it would be interesting if the diamond exhibited a pattern of hearts and arrows, although Brian knew that the pattern would not be as perfect, or symmetrical as the H&A patterns of the Signature Round series, because rounds are a circular, symmetrical cut, and as you can see by the plotting diagram featured above, these are more like a square pillow. After quite a few starts and stops, and a whole lot of paper napkin sketches and CAD drawings had found their way onto the floor of his office, Brian began cutting diamonds which became working prototypes to further the development of this project. He eventually concluded that the best way to achieve his goal was to make an adjustment to the diamond, which is legendary. In order to achieve the above elements, it was necessary to rotate the pavilion main facets, which in a round brilliant cut diamond, are positioned traditionally in the twelve and six o'clock positions, as represented in Diagram #1 on the graphic below, to the relative positions represented in Diagram #2. Keep in mind that the first two diagrams represent a round brilliant cut diamond, Diagram #3, shows how the pavilion main facets of the Brian Gavin Signature Cushion are arranged based upon this concept of rotating the pavilion main facets. These show the girdle edge of our Brian Gavin Signature Cushion Cut Diamond (top) as it compares to the girdle edge of three other popular variations of square cushion cut diamonds (bottom). Maintaining an extremely thick girdle edge, would have enabled us to be able to produce a pattern of hearts and arrows, which is more comparable to the symmetrical pattern of a round, but a big, fat, girdle edge which acts like an open window, produces what we feel is a less attractive diamond. Producing these diamonds presents some unique challenges, because they are not perfectly symmetrical like a round brilliant cut diamond, where every facet section is equal in distribution and spacing across each section of the diamond. Thus, Brian had to accept the fact that the production parameters for his new line of Signature Cushion Cut diamonds has to be a bit broader than the selection criteria for his round brilliant cut diamonds. If you look at the facet design of the diamond featured below on the right, as compared to the facet structure of the round brilliant cut diamond pictured on the left, perhaps you can imagine how challenging it is to hand-cut these diamonds to this level of precision. As you can see by the outline of a traditional round brilliant cut diamond, pictured on the left side of the graphic above, the bezel main facets are kite shaped. 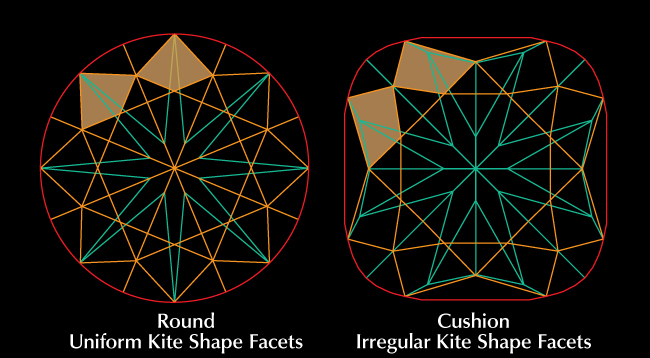 Because the outline of the cushion cut diamond, pictured to the right side of the graphic above, is more pillow shaped, it changes the principle shape of the traditional kite facet, and is almost rhomboid in shape. Coupled with the alignment of the pavilion facets, the tip of the arrow does not meet the point of the kite facet, resulting in a slight deviation from the traditional patterning of hearts and arrows in a round brilliant cut diamond occurs. 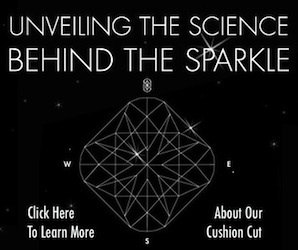 The American Gem Society Laboratories research on sparkle factor, which is commonly known as "the life of the diamond" is based upon computerized modeling that captures the essential elements of what is captured by the human eye. We relied heavily on the research conducted by the AGSL, as it pertains to optimizing the three dimensional facet structure of a diamond, both the vertical and horizontal alignment of the facets per section, to create a greater number of virtual facets, and larger flashes of light, which in turn, increases the sparkle factor of the diamond. Thus the development of this diamond, was largely made possible by the cooperation of the American Gem Society Laboratory, who did all of the modeling necessary to determine the exact parameters required to obtain the AGS Ideal 0 Light Performance grade. At the end of the day, Brian triumphantly managed to produce an ideal cut rendition of a cushion cut diamond, which is built upon the foundation of superior light return, and sparkle factor of a round brilliant cut diamond, complete with a reasonably consistent pat tern of hearts and arrows, with the pillow-like features of the popular cushion cut diamond, and we think that you're going to love it! How is the Brian Gavin Signature Cushion Cut Diamond Measured? It is important to understand that the Brian Gavin Signature Cushion Cut Diamonds are measured a little differently than traditional square cut diamonds, because the rounded corners have an effect upon the diameter of the diamond. Where most square brilliant cut diamonds are measured from edge-to-edge, e.g. North to South and East to West, the first measurement listed on the lab report represents the longest tip-to-tip measurement, and the second measurement represents the shortest edge-to-edge measurement. This is because if the diamond were measured any other way, the surface area of the corner sections would not be taken into account. The picture above is intended to provide a visual representation of how this diamond is measured, the dotted white line is intended to represent a round brilliant cut diamond of comparable diameter. For the purpose of this demonstration, we are basing our measurements upon the 1.662 carat, F-color, VVS-2 clarity, Brian Gavin Signature Cushion Cut Diamond which measures 7.91 x 6.62 x 4.83 millimeters according to the American Gem Society Laboratory (AGSL). The first measurement of 7.91 mm is determined by measuring the diamond from tip-to-tip across the longest corner-to-corner measurement. The second measurement of 6.62 mm is obtained by measuring across the diamond from edge-to-edge, it represents the shortest distance. The third measurement of 4.83 mm, is the distance from the top of the table facet, down to the culet, it is not represented on this graphic. The red arrows pictured on the diamond to the right, show the combined tip-to-tip, and edge-to-edge measurements. If the American Gem Society Laboratory (AGSL) elected to measure the Brian Gavin Signature Cushion Cut Diamond using the same edge-to-edge method which is used for traditional square corner brilliant cut diamonds, such as a princess cut diamond , it would reflect the inner diameter of the diamond only, and thus this would be an incorrect measurement because the outer boundary of the diamond would not be accurately represented. So the AGSL measures the diamond from tip-to-tip, and edge-to-edge, which takes the full surface area of the diamond into account to determine the diameter of the diamond. The measurements of our Brian Gavin Signature Cushion Cut Diamonds can be a little confusing at first glance, because they tend to give the impression that the diamonds are rectangular in shape. For instance, the measurements of the 1.662 carat, F-color, VVS-2 clarity, Brian Gavin Signature Cushion Cut Diamond used throughout this example, measures 7.91 x 6.62 x 4.83 millimeters, which would result in a length to width ratio of 1.00:1.19 if the measurement represented a traditional fancy shape diamond, this gives the illusion that this diamond is slightly rectangular, however as you can see from the photographs, this diamond faces up pretty square. Once again, if you look at the picture of the two options for measuring diamonds featured above, you'll see that measuring the diamond from edge to edge would result in an inaccurate representation of the surface area of the diamond. The only way to measure this diamond accurately is diagonally across the body of the diamond, from tip-to-tip, and across the diamond from edge-to-edge. Of course, the Brian Gavin Signature Cushion Cut Diamond is not the only fancy shape diamond to be measured this way, the fact is that the AGSL has been using this method of measuring specific diamond shapes since 2001. We're going to continue to use the 1.662 carat, F-color, VVS-2 clarity, Brian Gavin Signature Cushion Cut Diamond for this example. 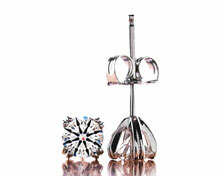 The first row of images pictured on the left side of the graphic, shows the 1.662 carat, photographed side-by-side a 1.15 carat, Brian Gavin Signature Round, which has an average outside diameter of 6.72 mm. The third picture in the row, consists of the cushion cut diamond laid over the 1.15 carat round, and the outside diameter of the round is highlighted in grey, you can see that the cushion cut diamond has an outside diameter which appears larger than that of the 1.15 carat round. If you look at the horizontal yellow lines which frame the top and bottom edges of the diamonds, you can plainly see that the span of the cushion cut diamond as viewed from tip-to-tip appears larger than the span of the round brilliant cut diamond, because the edges of the round diamond are not touching the yellow lines. And if you look at the second row of images featured to the right side of the graphic, you can see that the side profile of the 1.662 carat cushion cut diamond is also clearly larger, both in terms of width and height. Next we compared our 1.662 carat cushion cut diamond to a Brian Gavin Signature Round weighing 1.52 carats, which has an average outside diameter of 7.365 mm. As you can see, the span of the cushion cut diamond, as seen from tip-to-tip, still appears slightly larger than that of the 1.52 carat round. And when we overlay the 1.662 carat cushion, on top of the 1.52 carat round, the outer edges of the corners of the cushion cut, appear to exceed the outside diameter of the round brilliant (outlined in grey). And once again, the images pictured in the second row to the right, clearly show that the cushion cut diamond appears to be both deeper and wider than the round brilliant cut diamond. Finally, we compared the 1.662 carat cushion cut diamond, with a 1.80 carat, Brian Gavin Signature Round which has an average outside diameter of 7.82 mm. As you can see from the third row of images on the left side of the graphic above, the spread across the diamonds appears to be virtually equal, the tip-to-tip view of the diamond faces up virtually the same height as the round, and is essentially even to the yellow horizontal lines which frame the diamonds at the top and bottom. And if you compare the two diamonds, pictured in the second column of the graphic to the right side, you'll see that they appear virtually equal in terms of height and width. If the American Gem Society Laboratory were to measure the Brian Gavin Signature Cushion Cut Diamond from edge-to-edge, like a traditional square cut diamond with pointed corners, the outside diameter measurements would result in an inaccurate representation of the surface area of the diamond. Thus the AGSL measures this diamond from tip-to-tip, and edge-to-edge in accordance with standard gemological practices which the laboratory has had in effect since 2001. 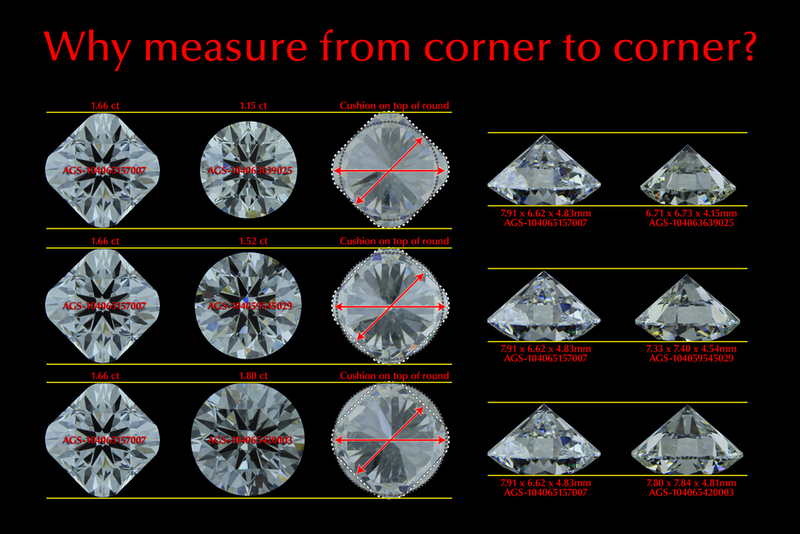 Customers should not concern themselves with the length to width ratios created by the outside diameter measurements reflected on the measurements section of the lab report, it merely represents the tip-to-tip, and edge-to-edge measurements of the diamond. Diamonds are sold by carat weight, not outside diameter, and thus the measurement is for identification purposes only and does not provide an indication as to the shape of the diamond, which is best represented by the plotting diagram of the diamond which is featured on the lab report, the AGSL makes these plotting diagrams to scale. In addition, the clarity photographs featured on our web site provide an accurate representation as to the shape of each diamond.